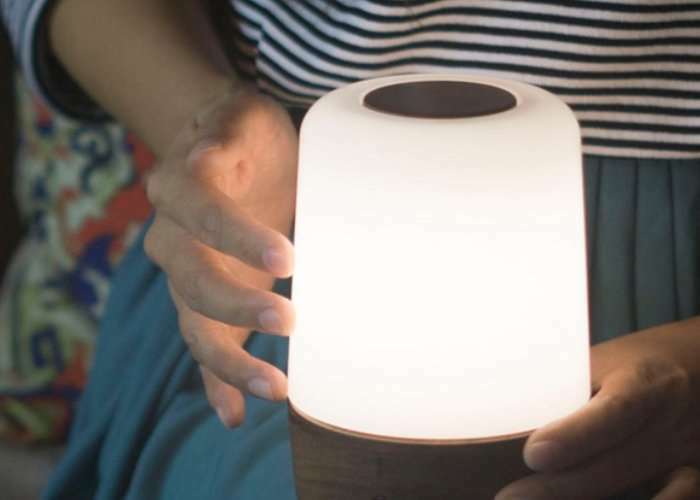 Intellisn has unveiled a new connectable lamp it has created called DomiLamp which not only provides a minimalistic design incorporating natural materials but also the ability for it to link and interact with other DomiLamp lights. Watch the demonstration video below to learn more about the lamps connectivity which is capable of providing a candlelight simulation as well as a variety of colour transitions. With “Domi” enabled, when two or more lamps are within a certain distance(about 13ft/4m), a light change of one lamp could be easily transmitted to others around it. Then, those lamps which received the change would adjust their light color and intensity to match the first lamp’s. This effect would then spread from those lamps to outer lamps if existed. 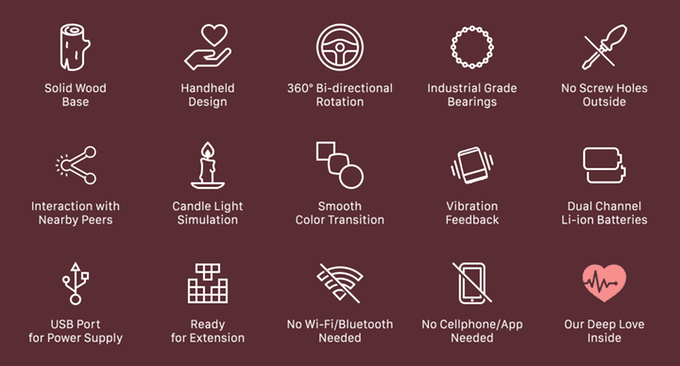 The rotary dimmer is a classic design in industry. It provides an excellent user experience. We learned from it and made DomiLamp’s shade as a bigger dimmer. When you need to change the light, all you need to do is to rotate. Additionally, we inventively added vibration feedback. Thus you could get reminded when you reach the maximum level of the light intensity. Visit the official Kickstarter campaign for more details or to place a pledge from $69 for early bird backers, with shipping expected to take place during December 2017.